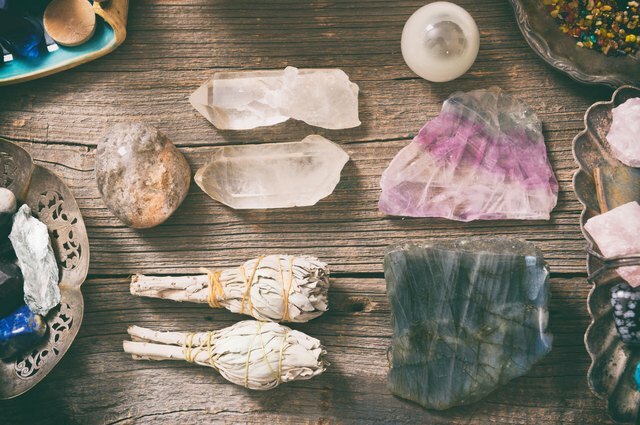 The use of crystals and stones in holistic skin care has gained popularity in recent years, and many celebrities, like Emma Stone and Miranda Kerr, regularly flock to their facialists to lift spirits and nix puffiness and wrinkles at the same time. An ancient art shared by various traditional systems of healing, this "new" treatment usually comes with a high-end salon price – but there are ways to get your complexion red-carpet-ready at home. 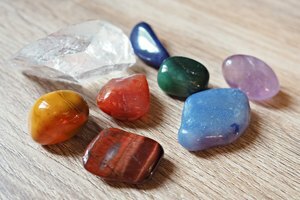 Crystal therapy is based on the entrainment principle, a concept embraced by virtually every life science. One organism synchronizes the energy of another with a lower vibration until the pair share the higher frequency of the first. This is what keeps crystal watches ticking and why people walking down the street at the same time fall into step with each other. It's thought that this exchange of energy from stones has an effect on human cells to promote healing, detoxification and regeneration, including those of your largest organ – your skin. Bloodstone is a variety of green jasper with flecks of red hematite running through it and is so-named because the stone supposedly cleanses the blood of toxins when carried or worn against the skin. Bloodstone is also said to promote the healing of inflammatory skin conditions. The ancient Egyptians carried rose quartz to ward off the signs of aging skin. Also known as the love stone, it has a strong association with all matters of the heart, including circulation. It's also said to encourage lymph drainage. Some holistic practitioners infuse the energy of this stone into skin care products by keeping them on plates made of rose quartz. 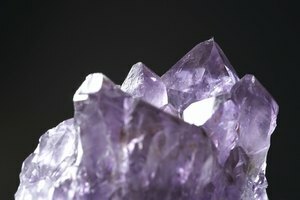 Amethyst is a form of quartz readily recognized by its lovely color, which can range from light lavender to deep purple. Its name comes from ancient Greek and is a reference to Dionysius, god of the grape harvest and wine. 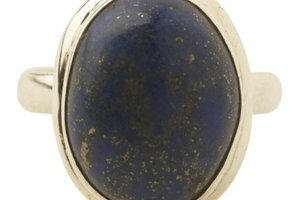 As such, the stone has a reputation for helping to prevent intoxication and “morning after” headache. It's also said to ease inflammation of the skin, balance hormones and increase blood circulation and oxygen delivery to cells. 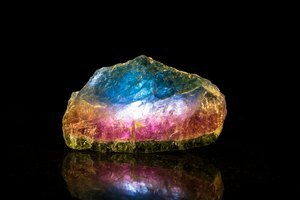 Also called electric stone, tourmaline occurs in a wide variety of vibrant colors because it's a granite-like mineral laced with one or more elements, such as iron, magnesium, potassium or aluminum. Tourmaline emits negative ions, which are thought to produce the same mood-lifting and stress-reducing effects as the sound of ocean waves. The stone also releases far infrared radiation, which is thought to improve circulation, eliminate toxic metals and decrease water retention. Tourmaline is one of the materials used for physical and cosmetic therapy by the energy healers of Japan known as Kikohshi. There is no clinical evidence that crystals and stones truly benefit skin, and it's unlikely that anyone will fund studies to find the truth anytime soon. In fact, some scientists suggest that any perceived benefit is the result of a placebo effect. That said, it should also be noted that we don't yet fully understand the effects of energy medicine and the use of crystals. But consider this: a lot of beautiful faces can't get enough of stone massages and crystal facials, including Katy Perry, Jennifer Aniston and Gwyneth Paltrow. If it helps you to feel good about being in your skin, it's bound to show on the outside, and that's all the proof you really need. Elle: Should You Put Crystals on Your Face? Niwa Y, Iizawa O, Ishimoto K, et al. Electromagnetic wave emitting products and "Kikoh" potentiate human leukocyte functions. Int J Biometeorol. 1993 Sep;37(3):133-8. Daily Mail UK: Would You Get a Crystal Facial?